A quick sketch on a napkin during lunch break last week inspired me to transform a full-size Oldsmobile Vista Cruiser into a station wagon surfers would have loved back in the late Sixties. Thanks to deleting the rear doors, the trunk space now reaches all the way forward to the B-pillar, which gives you plenty of room for the gear and a large sleeping area. The side glass has been replaced with metal, allowing for insulation and storage compartments on the inside walls. To ensure the period-correct look and feel I added fake wood to the sides, which is sourrounded by chrome trim. This also helps to stretch the lines of the vehicle. Imagine to lie in there with your favorite beach babe after a long day of surfing, pulling the curtains shut and gazing at the stars through the vista roof. Check out the original image for comparison. GM thought it was a brilliant idea to add some Swedish flavor to their rather sad and uninteresting line of mid-size SUVs by introducing the SAAB 9-7X. The 9-7X was a classical GM badge-engineering job with a couple of different trim pieces here and there. It’s not hard at all to guess that the Swedish designers and engineers didn’t have a lot of influence in the development. Let’s imagine GM would have given free reign to the Swedish colleagues, with the only mandatory requirement that they must build it on an existing platform. 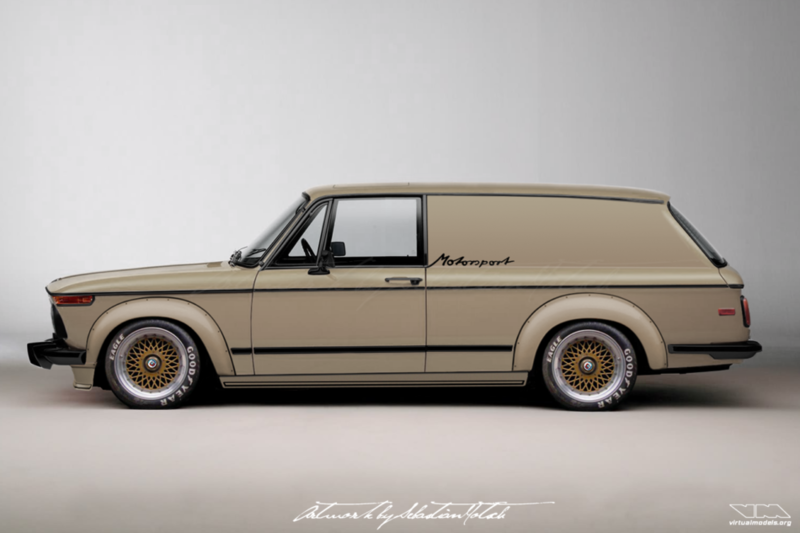 They might have come up with what I imagined in the pictures below: a SAAB 9-5 based SuperWagon. It would have featured more interior space, more windows for the kids to see out of during road-trips, better handling and fuel mileage than the horrendous 9-7X. The already spacious trunk space of the 9-5 Wagon would have been enlarged in height and width to fit all the necessary gear a family of four might need for a holiday. Creating a 2-door delivery van for those needing less seat and more room for cargo would have been rather easy. To keep the distinct SAAB profile, the safety conscious Swedes would have added a window just aft of the B-pillar to improve visibility. Now only one question remains: do you think the SuperWagon variants would have sold better than the GMT360 platform based 9-7X? Take a look at the original picture for reference. 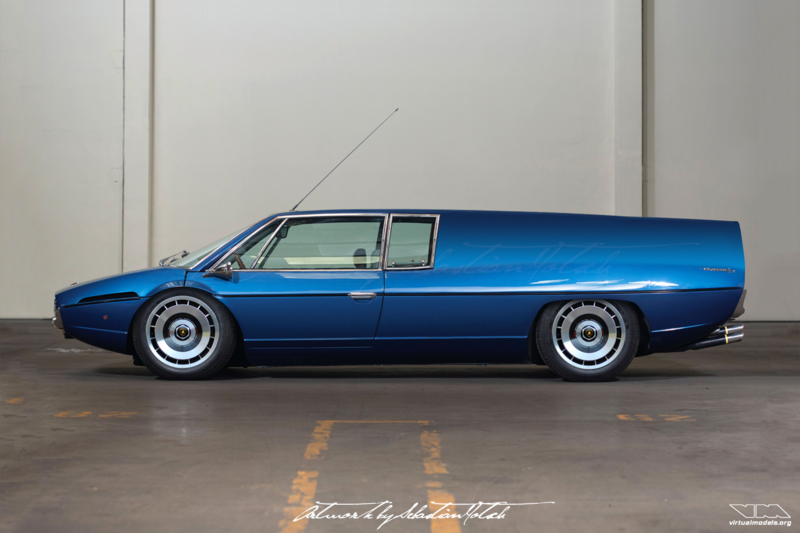 After the recent modification of a Cadillac Fleetwood Brougham I went looking for more GM B-platform cars that could be modified. 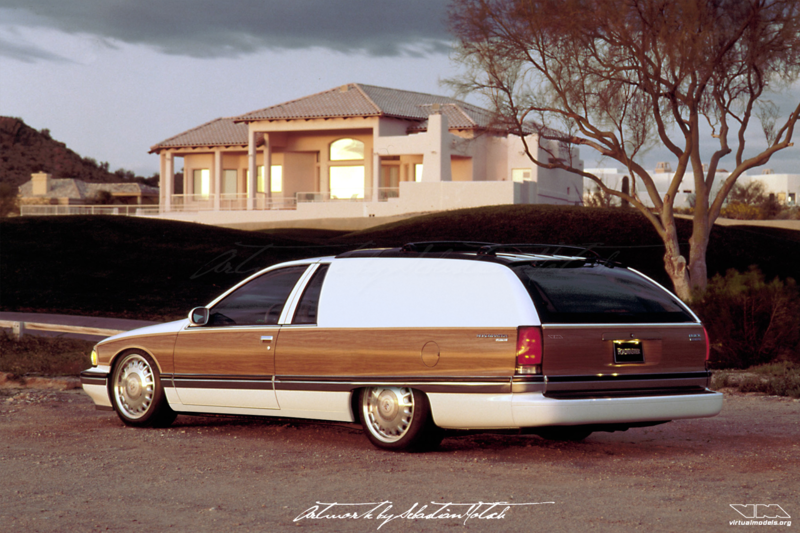 I found a picture of a Buick Roadmaster Estate Wagon and immediately started to modify it. 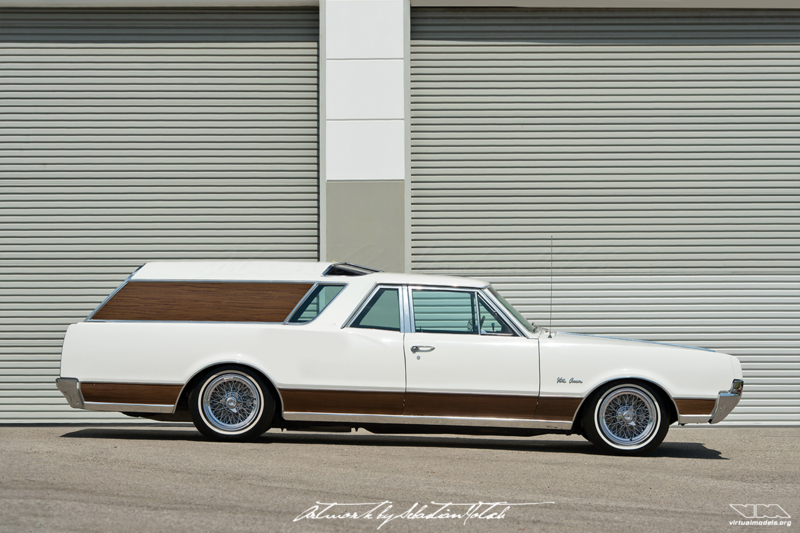 What I came up with is essentially similar to a Chevrolet Nomad: a two-door wagon. Because it looked rather odd with windows, I decided to take the conversion even further by modifying it into a panel van, lowering the car and giving it a wider track. Thanks to the body-on-frame design this shouldn’t be too hard to create in reality. You don’t like it? Please feel free to enjoy the original picture. 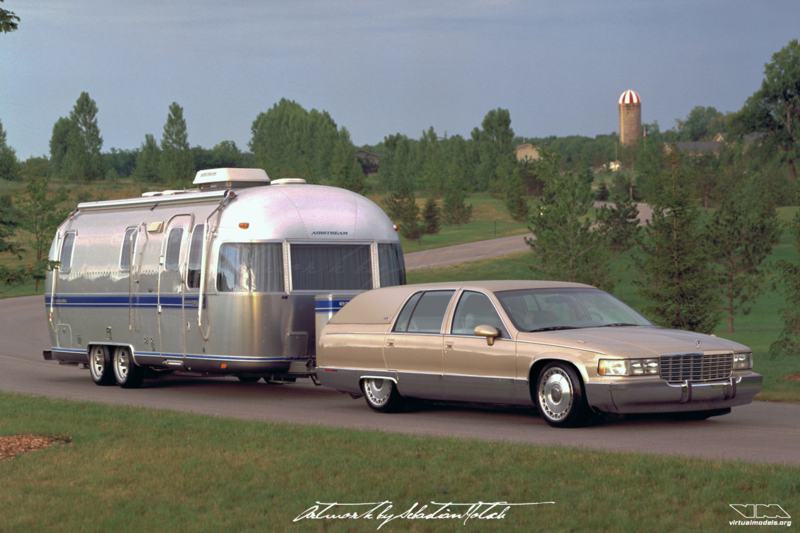 Finding a photograph of a late 90’s Cadillac Fleewood Brougham towing an Airstream travel trailer got me thinking. What if the people owning a rig like this had a need for more trunk space, but still wanted to tow the trailer with a B-body based car? 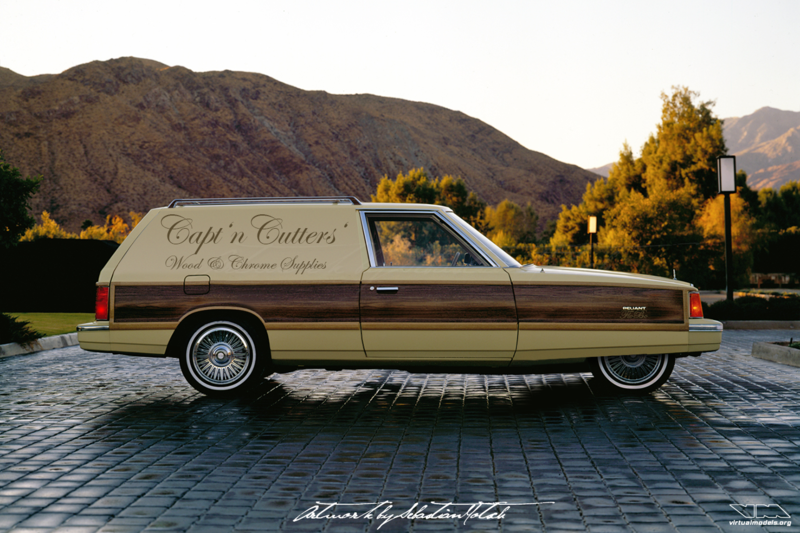 They would have had the choice of downgrading to a Buick Roadmaster oder Chevrolet Caprice – or converting their Cadillac into a wagon. This shouldn’t be too hard to do, right? 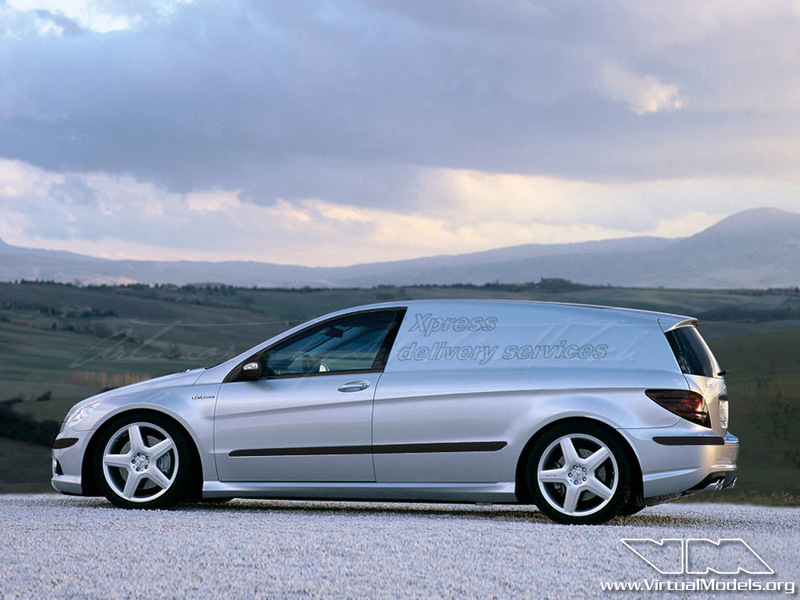 However, instead of just using the rear glass from either one of the standard GM wagons, I went for a panel van look. 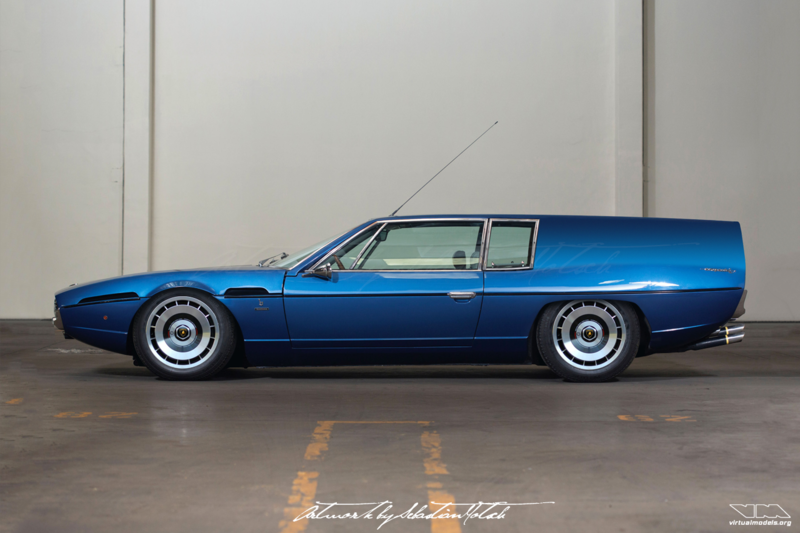 As the Fleetwood Brougham already has a vinyl roof, it is a no-brainer to use this material for the wagon conversion. Not having windows also allows to add useful storage cabinets on both sides of the trunk. 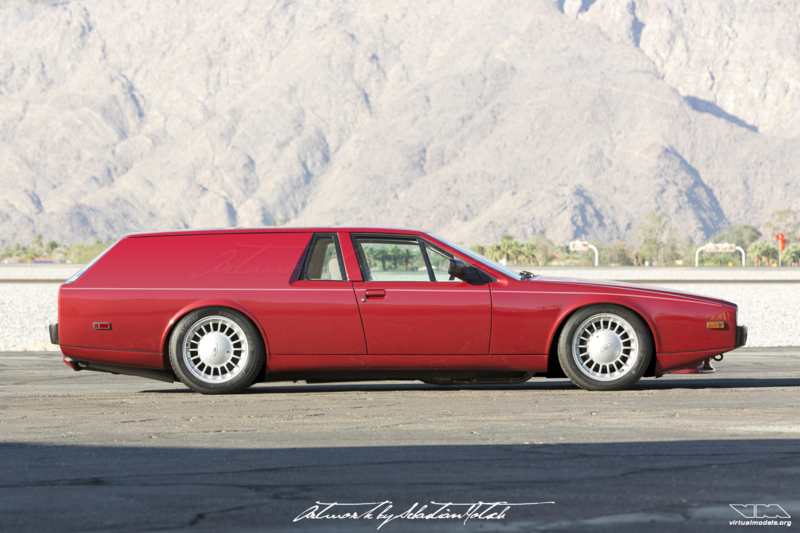 And because I have a reputation of never leaving the suspension height and stance as it came from the factory, the Cadillac was lowered and fitted with larger diameter wheels, shod with lower profile tires. 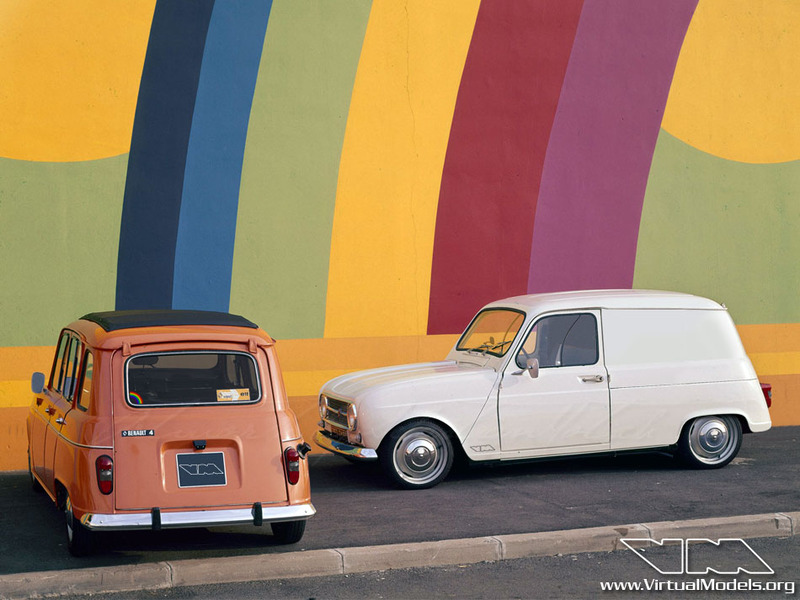 To round it off and achieve a consistent design, the Airstream was also lowered and given a similar wheel treatment. 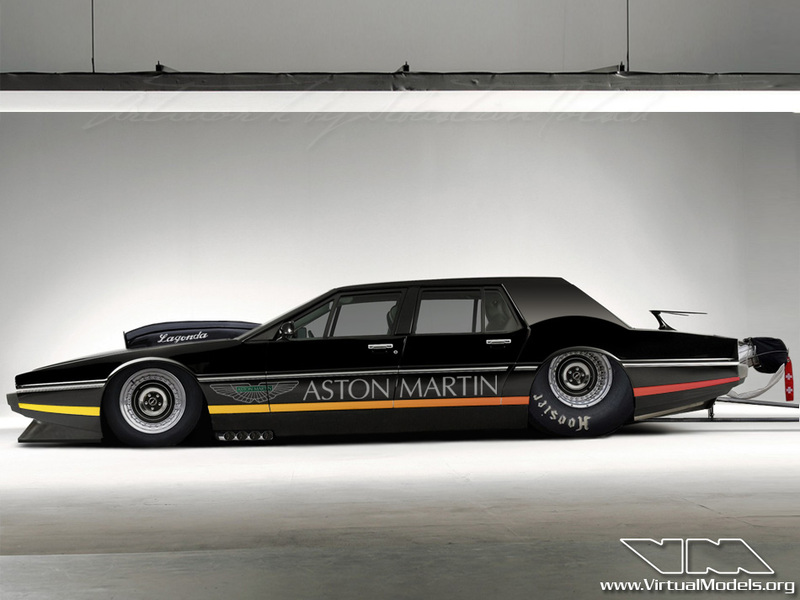 Five years ago I created a photoshop chop image of an Aston Martin Lagonda Limousine Dragster. 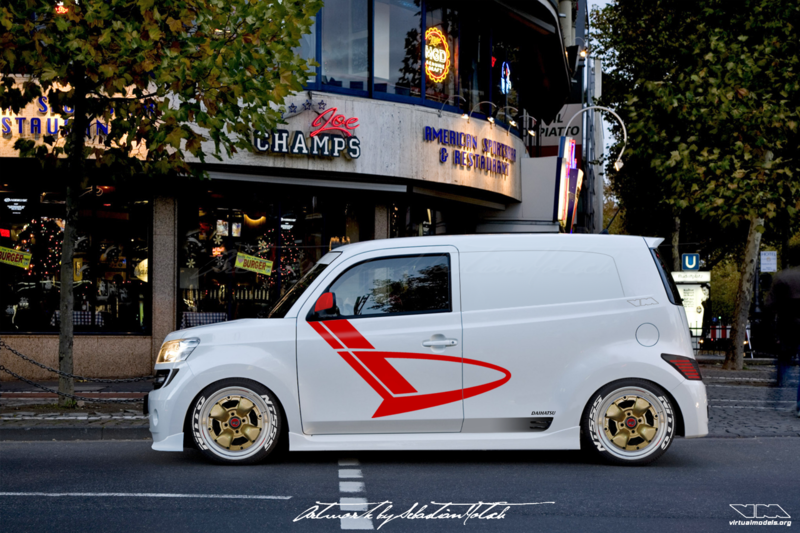 Ever since then I wondered what an accompagnying shop truck could look like. Today, while watching the 24h race of the Nürburgring, I finally did it. From the front to the B-pillar it is 100% original, but everything further back has been modified. In order to prevent the vehicle to look tail-heavy, I decided to add a window just aft of the B-pillar. This makes the vehicle look more elegant and concentrates more optical weight in the center of the car. And to make an already long car look even longer, I lowered it. Larger diameter wheels with less sidewall give it a more modern look and the pinstripe is the icing on the cake. Now – who wouldn’t love to haul parts for the shop with this rig? Many years ago I saved a picture of an Alfa Romeo Alfasud Giardinetta on my computer. I fiddled around with it now and then but never liked the outcome. 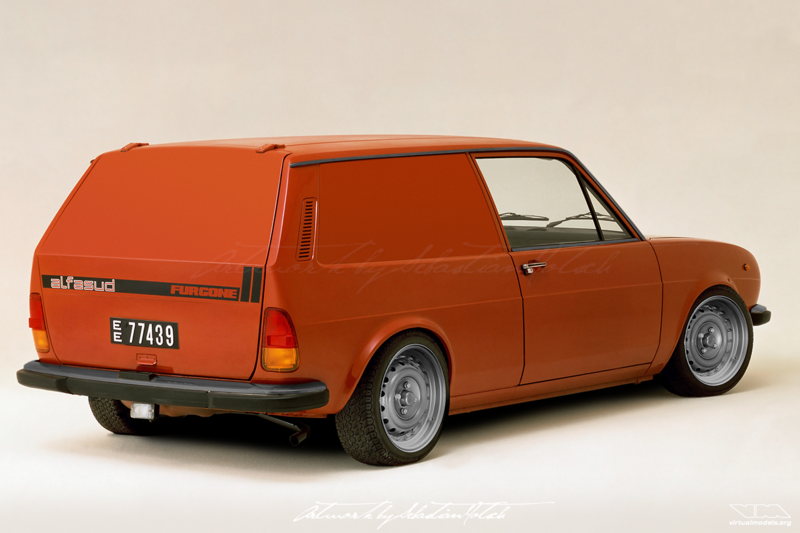 But when I created the BMW 2002 Turbo panel wagon a couple of weeks ago I remembered the Giardinetta. After opening the picture and covering the windows it was only a matter of a few hours until the Furgone conversion was finished. 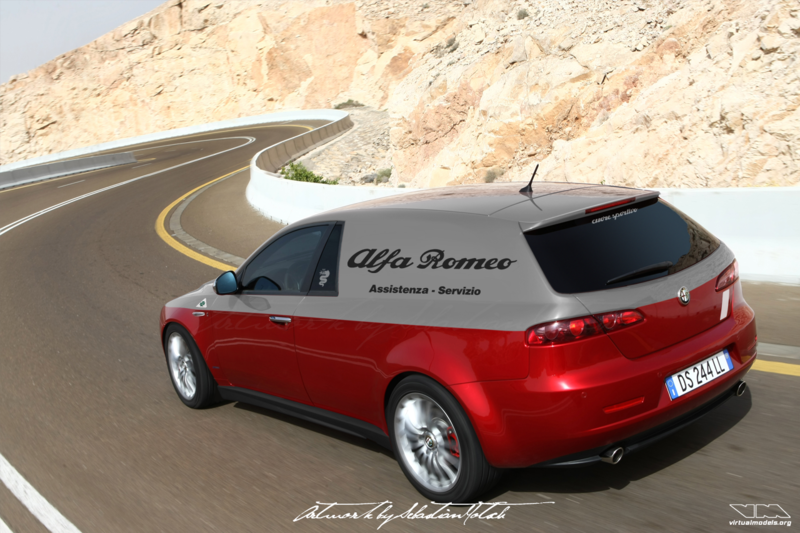 I hope you enjoy and like my take on the Alfasud with lowered suspension, multi-piece wheels, low profile tires and blacked out chrome parts. In case you’re not a friend of the Saharabeige BMW 2002 Turbo Panel Wagon, here is a different version for you: medium grey with M-colored turbo stripes. Instead of placing them on the usual location on the front fender, I opted to put it on the door. This creates a nice mirror-like effect with the A-pillar, which is almost shaped like an arrowhead pointing in the direction of travel. Next up will be an El Camino style pick-up. Stay tuned! 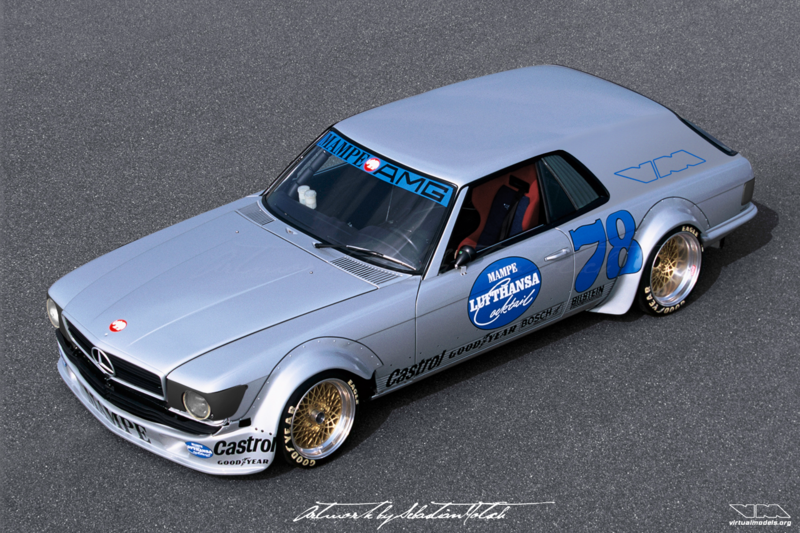 Check out the BMW 2002 4-door touring this conversion is based on. Creating the BMW 2002 Touring was so much fun that I decided to run with the idea and turn it into a panel wagon. I kept the shortened front doors to maximize cargo space in the spacious rear compartment. Having done that I noticed that the half of the vehicle looked rather bland. 2002 Turbo fender flares and BBS E50 center-lock wheels help tremendously to remedy this situation. Gotta haul those BMW Motorsport parts in style! 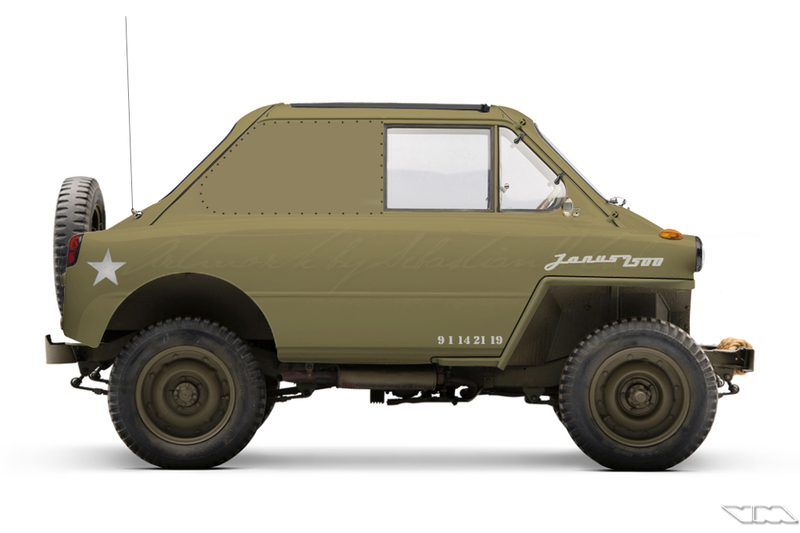 Watching the second Pixar Cars movie inspired me to photoshop a Zündapp Janus. A couple of hours later, this little monster was born: a modified Janus body with partially blocked windows, sitting atop a Willys Jeep frame. Simple, clever and easy. OK, I admit that it might be a tad more challenging to create this in reality. However, I did find a Renault 4 bodied Jeep a couple of years ago in France. 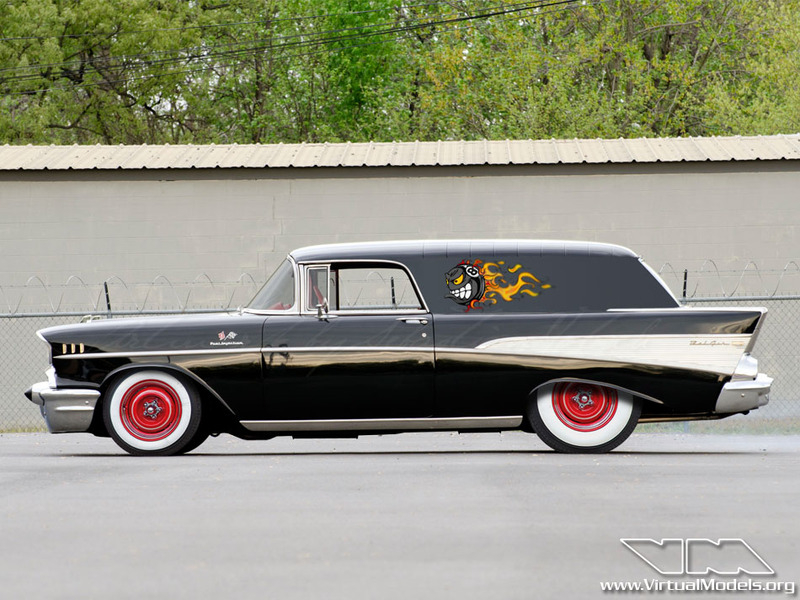 The 1957 Chevrolet has always been a favorite amongst fans of the 50’s fins and chrome era. Especially the rare Nomad wagon is heavily sought after these days. Not many people would dare to weld the windows shut on such an iconic vehicle. But hey… we’re not talking about reality. 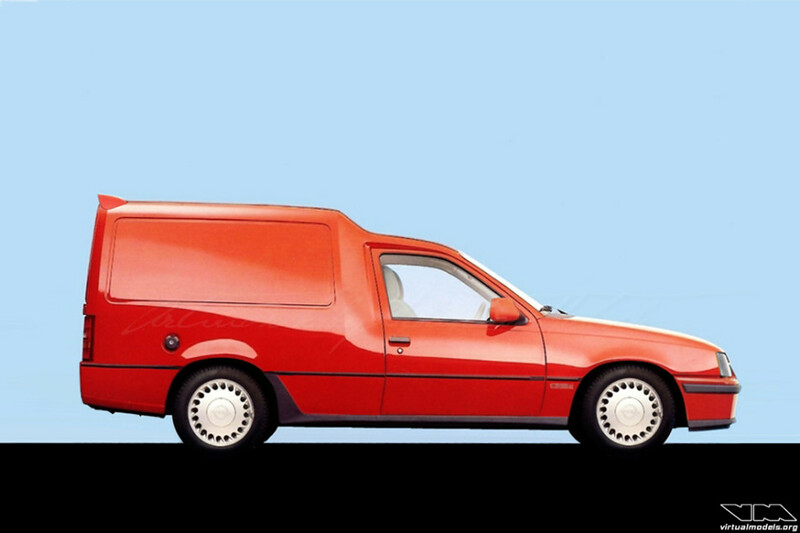 Real world rules don’t apply to the world of photo manipulation, where deleting a couple of layers from your photoshop file restores the car to its original shape and value. Just imagine what it would be like to actually do it and drive it to a car show. Now… would you do it? Ever since attending the Citroën 2CV meeting in Lit-et-Mixe (France) in May 2009 and seeing all the fantastic conversions, I created a unique 2CV myself. 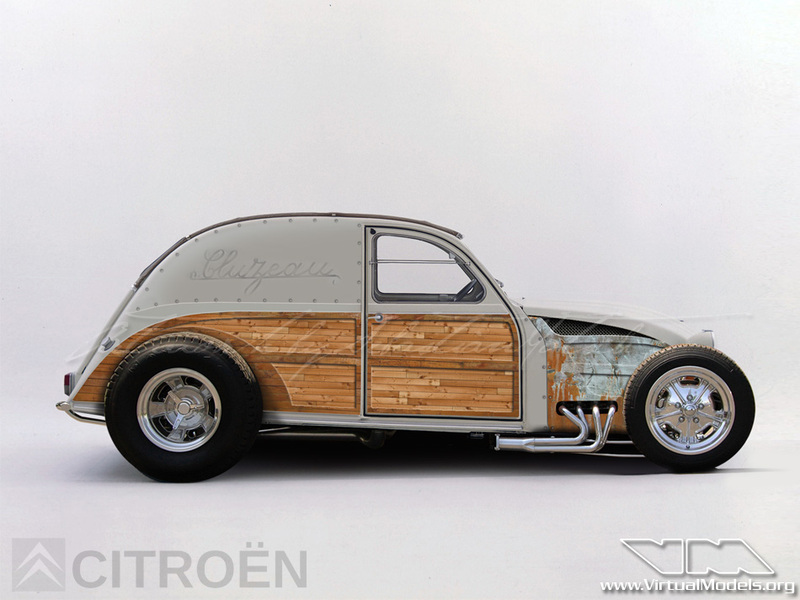 Voilá… after only two years playing with it in Photoshop: I’m proud to present my V8 powered 2CV – classic Hot Rod style. In order to break up the dull grey paintjob, I added wood panels and a bit of rust. Would I drive this thing in real life? You bet!